Need to ramp up the fright factor of Halloween? 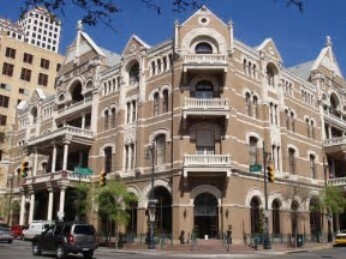 Austin, Texas has more than 40 locations where ghosts and spirits have been reported. But the otherworldly figures don’t just surface around Halloween; they spook folks year round Here are a few of the city’s notable haunted spots. The DriskillHotel, probably the most haunted site in the city, still feels the presence of numerous ghostly figures. 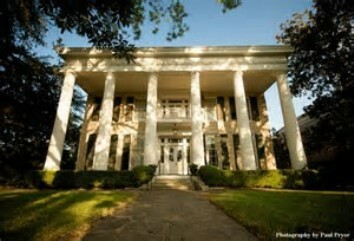 The scent of cigar smoke from namesake Jesse Lincoln Driskill lingers despite renovations. The apparition of a little girl, daughter of a former U. S. Senator, chases a bouncing ball down the front staircase—an event that reportedly led to her death. Some even say the ghost of LBJ (former president Lyndon Baines Johnson) roams the rooms. If you’re brave, stay in Room 29, reportedly the scene of a bathtub suicide of a women who stayed there just a few decades ago. Less than a block from the Driskill is Buffalo Billiards, original site of the Missouri Hotel, Austin’s first boarding house and a questionable entertainment spot for cowboys in the 1860s. Ghost sightings have startled a cleaning woman and night bartender. Occasional ghosts still drift through the crowds at this popular night spot on trendy and hip 6th Street. The Neil-CochranHouse on San Gabriel Street served as a hospital for Union prisoners. A former owner, Colonel Andrew Neill has been seen riding his horse around the mansion and having tea on the front porch with the ghost of Robert E. Lee. Ghost sightings are common here. Strange things happen in Austin's Paramount Theater. 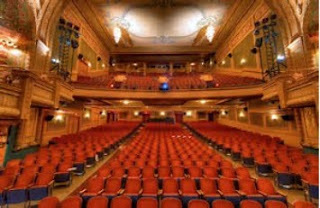 Employees of downtown Paramount Theater frequently report moving props, strange lights, and unseen hands engaging in unexplained activity at this historic venue that has produced vaudeville, silent movies, music, dance, and Broadway shows for more than 90 years. Theater patrons accept these strange occurrences good-naturedly, even searching out new reports. Teachers working late by the gum at Crockett High School report hearing a little girl crying and walking up and down the hall. It is said that she is searching for her family. 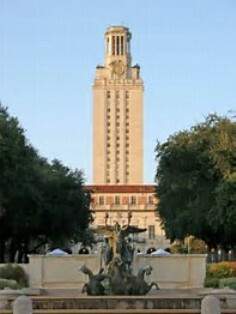 People who remember the infamous observation tower shooting rampage of Charles Whitman in 1966 won’t be too surprised to learn that Whitman is said to still haunt the Universityof Texas Tower and campus. Want to know more? Paranormal researcher Fiona Broome recounts some of the most familiar tales in her book The Ghosts of Austin, Texas: Who They Are and Where to Find Them.